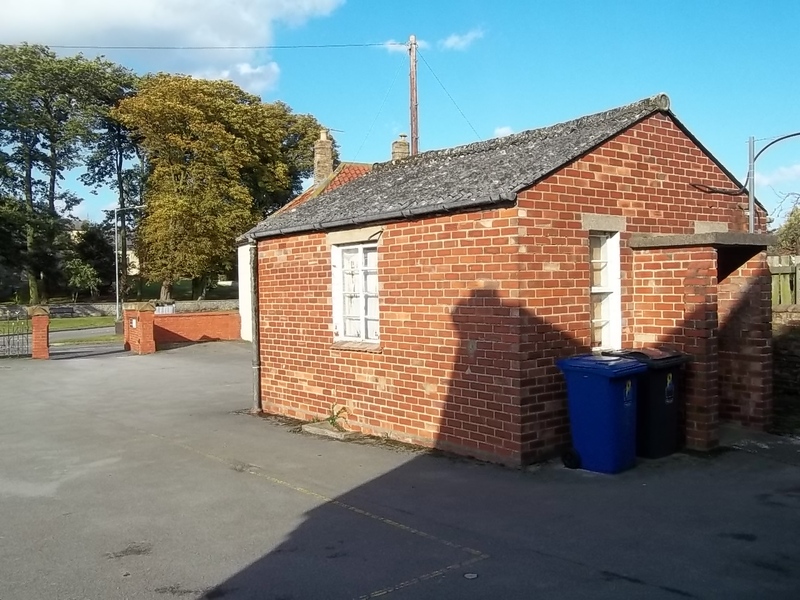 Well its exciting times at The Dunholme Old School Centre, we are currently closed due to having the old kitchen knocked down and a new larger kitchen to replace the old one. There has been some other improvements made over the last 18 months and more changes will take place over the coming years. Years sound a very long way off but don’t they soon shoot by? The aim in the short term is to as previously mentioned build the new kitchen and fit it out with new units and accessories, decoration around the old school has already started over the last 12 months and is ongoing with the main hall being one of the next areas to be tidied up and redecorated. Following that there is a rear smaller meeting room which will be decorated, units removed and hopefully before so long a new carpet fitted, this room will then be available for let as a single smaller room for small meetings. The ladies toilets have been modernized with 2 new cubicles and redecorated already and in the near future we will be moving into the gents toilets and replacing the sanitary ware etc. In the main hall we will be making a doorway through from the main hall to the corridor to the toilets this will eliminate the need to pass through the kitchen to get to the toilets, this has always been a disruption to those working in the kitchen area in the past but all will be plain sailing when the new door is fitted. It is always good when there is something to report that is going to enhance the facilities for the village and surrounding area and this month I am pleased to report that the Trustees at The Old School Dunholme have been fortunate enough to be successful with two financial grant applications which means that we are able to make a small start with the renovations to the Old School. Our intensions are to replace the existing single brick extension kitchen with a larger, brighter more modern one which will enhance the facilities for the users and hirers at The Old School. Work will commence sometime around June time and hopefully completed within a couple of months. I will keep everyone updated with further developments on the kitchen as they happen. We will also be upgrading the ladies’ toilets in the next few weeks and will let you know when the modernisation is complete. Although this is just a small start we are currently working on larger applications for funding to meet our overall objective to extend the facility with a larger hall and better facilities for current users. This all takes time though going through all of the various avenues of funding and finance applications. If you would like to hire the hall then please do get in touch with Janice on 01673 861172 to book your event. 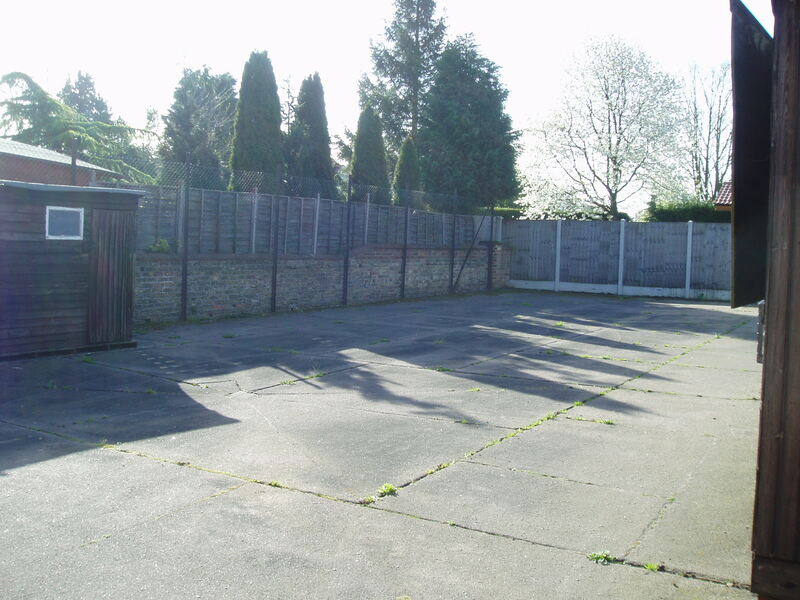 We can cater for all occasions from parties through to club meetings and during the warmer weather have a secure hard play area to the rear of the Old school for children’s parties/bouncy castles etc. So don’t wait get in touch as soon as possible. To keep up to date with happenings at the old school visit our Facebook page “Dunholme Old School” and “Like” our page to receive updates and information. So what development would we like? The main building was built in 1864 with solid double brick wall with no cavity. Therefore some restoration and renovation work is necessary. All the external brickwork of the main building needs cleaning and repointing with modern mortar with brickwork being replaced in several places. The internal walls would also need to be dry-lines and plastered. The roof, although was re-laid in 1998 could do with being removed and re-laid more professionally. The kitchen at the present is quite basic but could do with being made bigger with better appliances and the toilet facilities should be upgraded by extending and modernised to meet the latest DDA regulations. 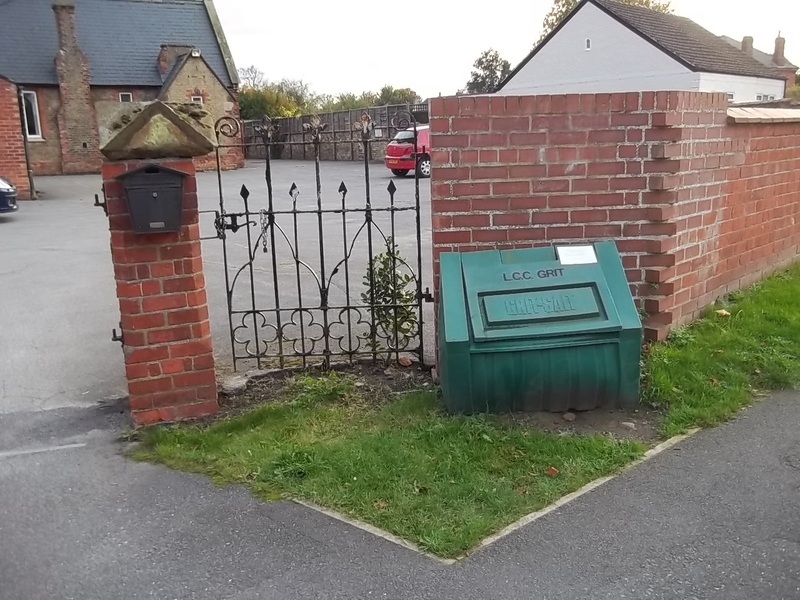 would be built with a paved path to the main entrance to give greater safety for people entering and leaving from Market Rasen Road. Some areas of the front yard surface is deteriorating and needs retarmacking. plus a small theatre space with retractable raked seating. This would provide lecture facilities, music and drama shows and maybe a small screen cinema aimed at a kids club or viewing of special national events. hall at the rear. 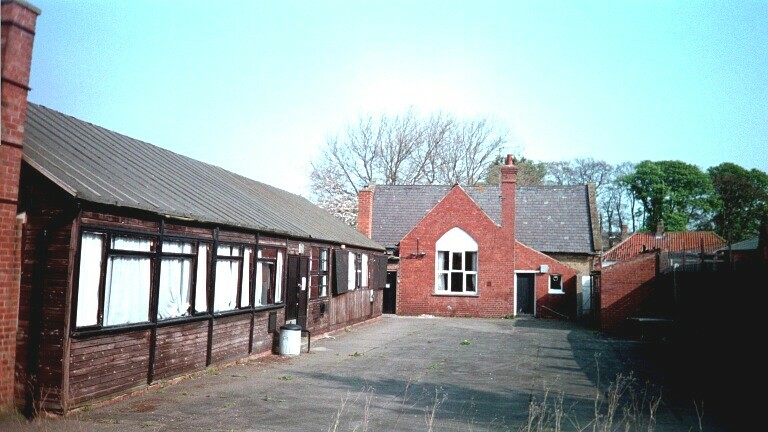 This would release the usage of the current old school hall to be turned into a tea room/ café. The individual who runs the Vintage Pop-Up Tea Room has shown an interest in doing this on a permanent basis. Should there be requirement then with a license it could be run as a bistro/café in the evening. This would need to be run independently by a volunteer group to ensure it didn’t jeopardise the charitable status of The Dunholme Trust. Plans to Developing Further Voluntary Organisations. room or even a secure store. Archive Centre. There are also some artefacts from the past that various individuals hold. A group that already organise fund raising events in the village on a monthly basis by holding Jumble Sales in the village hall. They also hold garden parties and do a Shoe Box Appeal. They raise considerable sums of money for local charities and voluntary organisations. 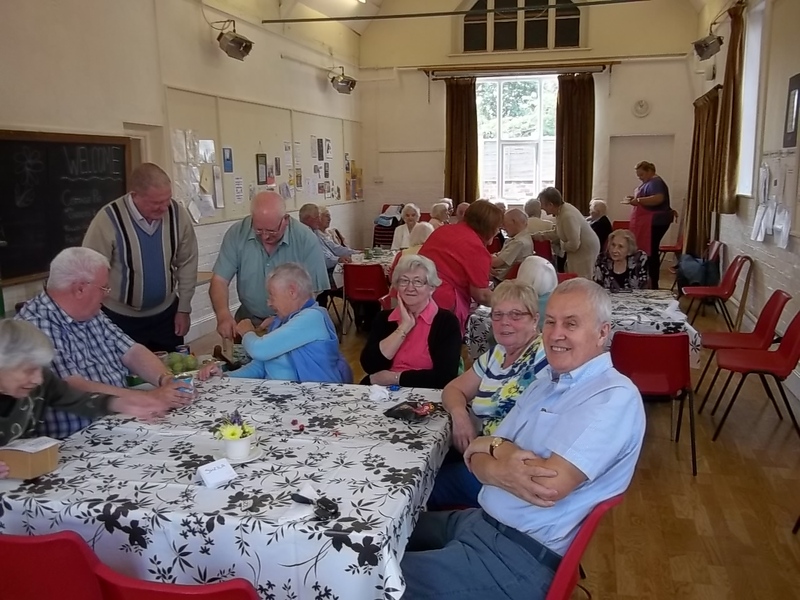 Quite unsung but they were the first winners of the Dunholme Community Award and have had invitations to attend a garden party at Buckingham Palace with H M the Queen. Within the items donated are some that are of high quality which they keep to one side and have a special sale of these items at a higher price. It has been suggested that we should provide a permanent charity shop for these items that can be viewed and bought, by arrangement at any time. By taking a percentage of the proceeds would give us another revenue stream and provide greater opportunity for the Charity Group to sell their goods. preparing, cooking and serving meals giving them excellent training for future careers. on a Tuesday and Whist sessions on alternate Fridays. These were discontinued after many years as support was waning. With the new Luncheon Club reforming we could try to restart them. Other clubs could be initiated. We know of several individuals in the community that would be interested in a bridge or a mahjongg club. 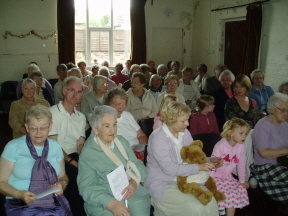 The Dunholme WI was also restarted as “The Jambusters” and their first two sessions were held to the Dunholme Old School Community Centre. It was so popular that their numbers were too great for the space we could offer at the Old School. They now meet at the Junior School of St Chad’s but have indicated that they would love to come back should we provide the space. Further development is the provision for a secure Parish Council office and meeting room. 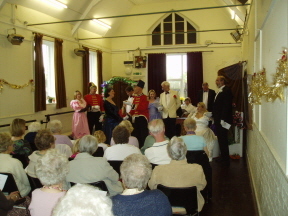 There is a local Pantomime and Drama group that perform regularly in Dunholme and Welton. They already rehearse in the old hall. With the new hall designed for performing arts activities it would give them a ‘home’ giving them storage space desperately needed for costumes and scenery. There are also numerous drama and music groups in the region that would be quite willing to use the facilities and organise events. 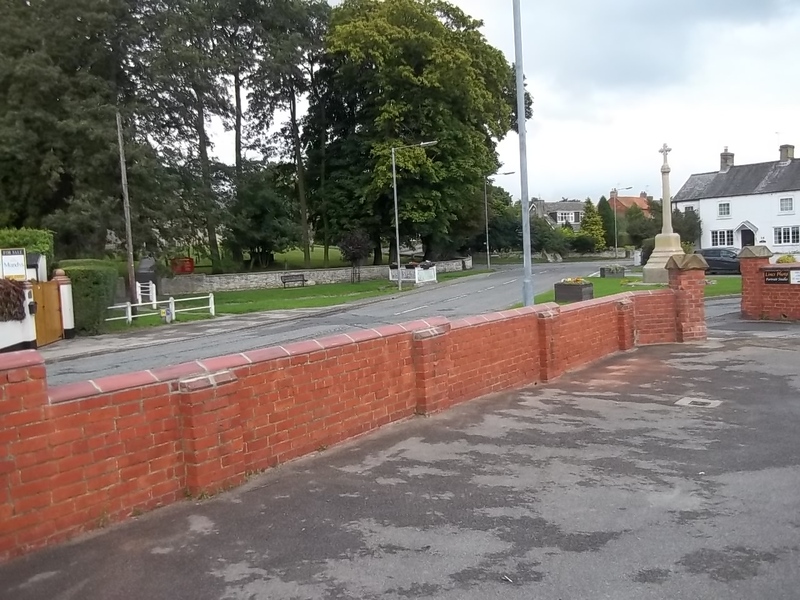 The front wall reduced in hieght and shortened to make a much improved and wider traffic entrance. 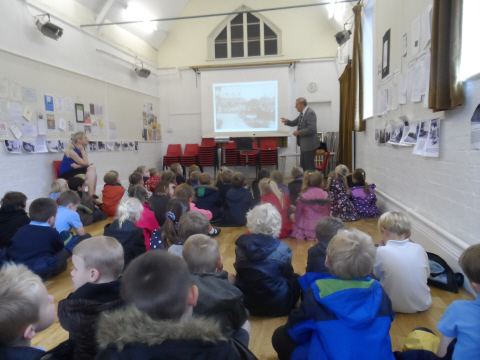 The Chairman of the Trustees giving a presentation to years 4 and 5 from the new school, St Chad's Junior School about what it must have been like in the earlier day of the 19th century when the Old School was in fact the school of their grandparents and before attended.